If your business has a fleet of vehicles, that means it requires maintenance. That many machines need to be kept in good shape to go where the company needs them to go. 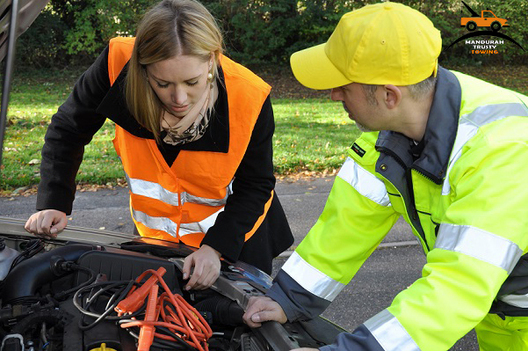 If you find that anything in your fleet is in need of roadside assistance Mandurah, you can count on us. It doesn’t matter to us if your fleet is five cars or five hundred. If you need a roadside assistance program that is designed to accommodate your unique needs, we can provide it. We offer a subscription-based program that can be adapted to factor in your specific needs. We can also handle your fleet roadside assist needs with a pay-to-use program, at your discretion. If you need a battery replacement or roadside assistance for your fleet, consider what we offer. We take pride in presenting a fleet response program that is flexible in the management of your vehicles and gear. We can service industrial equipment like walkers and forklifts, as well as cars and trucks. Our fleet response program comes to you. Roadside assistance, heavy machinery towing, and other equipment services are at your disposal. The best part is that we provide you with the choice of how to pay us. Some of our clients prefer to pay for our roadside and towing service on a pay-per-use basis. Others prefer to budget out a monthly fee for our subscription. Pick the option that works for your budget. Our services are authorised repairers for a variety of businesses big and small throughout Western Australia. Replacement batteries, flat tyres, emergency refuelling, and other roadside tasks are part of what we offer. Our program will give you access to both professionals and high-quality equipment. Any replacements, tools, or services we provide are of the highest quality. You will have a smooth, hassle-free experience with us.